This is a vocabulary/spelling test for Florida's Houghton Mifflin Journeys 4th Grade reading series. 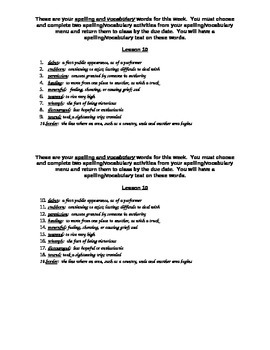 The test is set up as a spelling and vocabulary test. 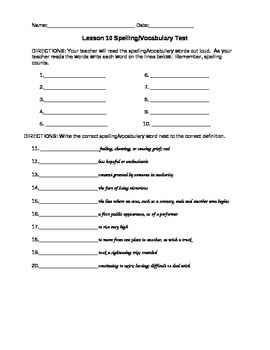 There are three sections: a spelling section, a definition matching section, and a sentence fill-in the blank section. There are a total of 30 questions for each test. The word list contains the ten words for the unit, plus definitions. This also contains an answer key for the test.